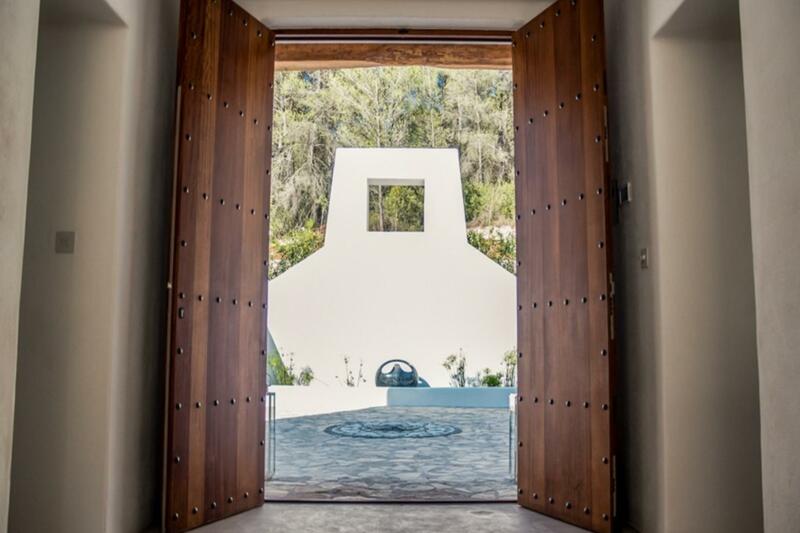 This is a stunning property designed by renowned architect Rolf Blakstad. 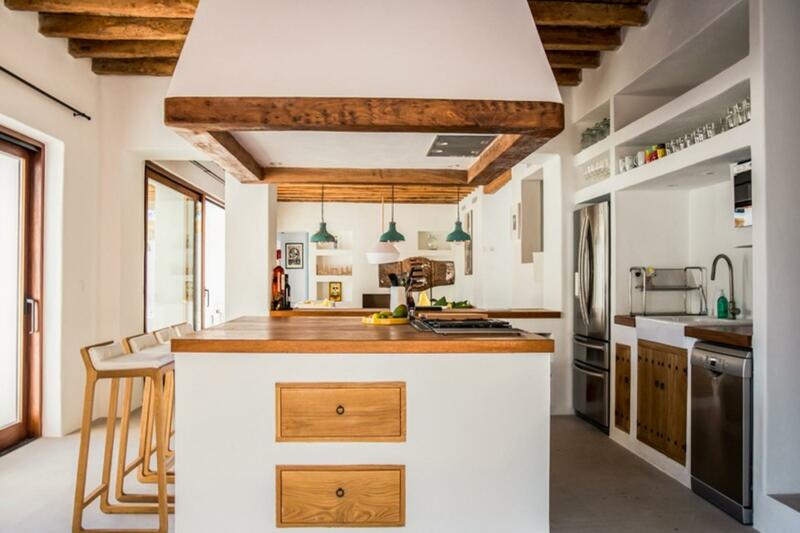 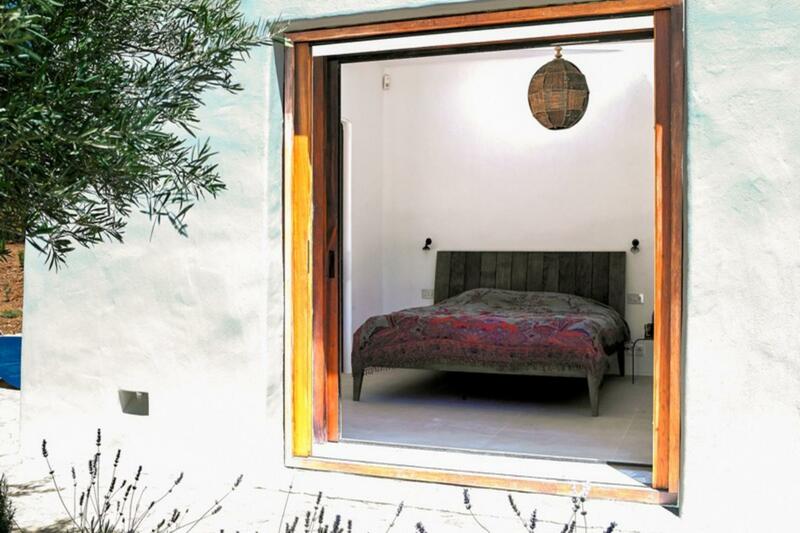 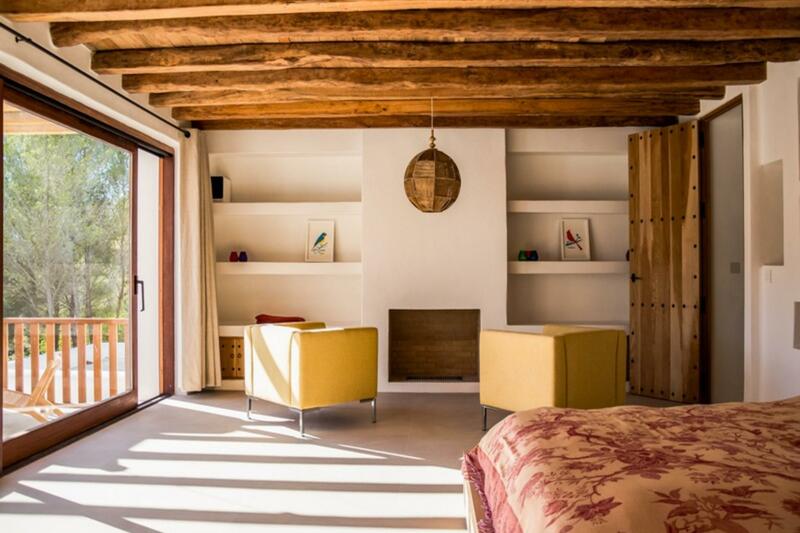 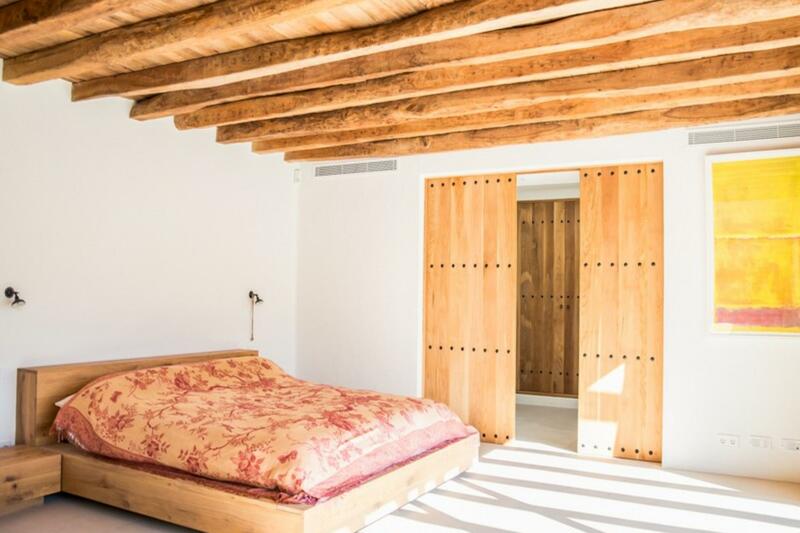 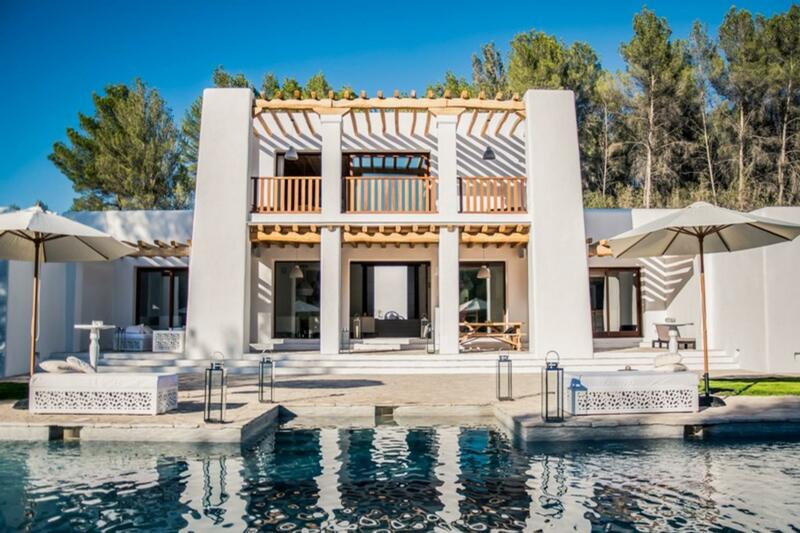 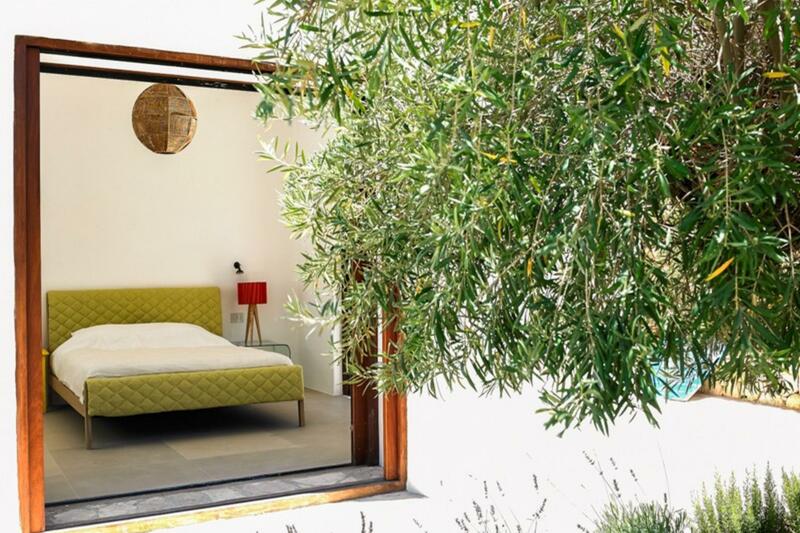 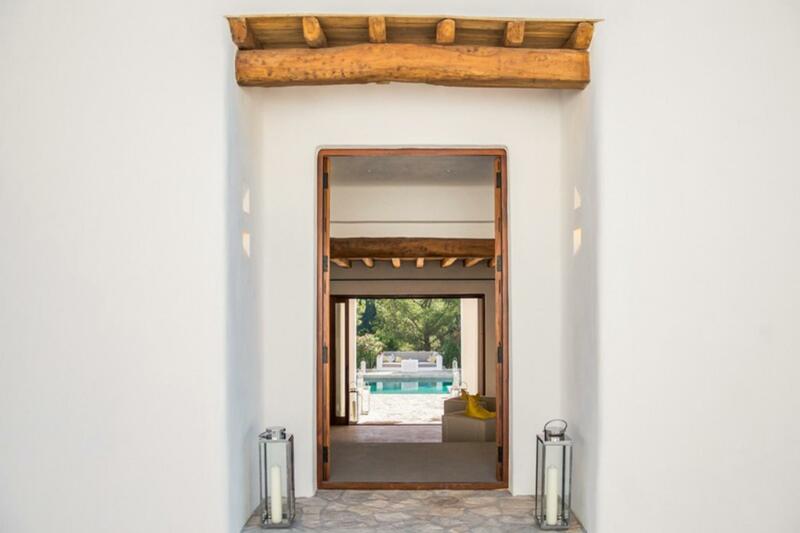 It is built in line with Blakstad's view of maintaining a local, centuries old traditional style of Ibizencan architecture, albeit with fantastic modern features. 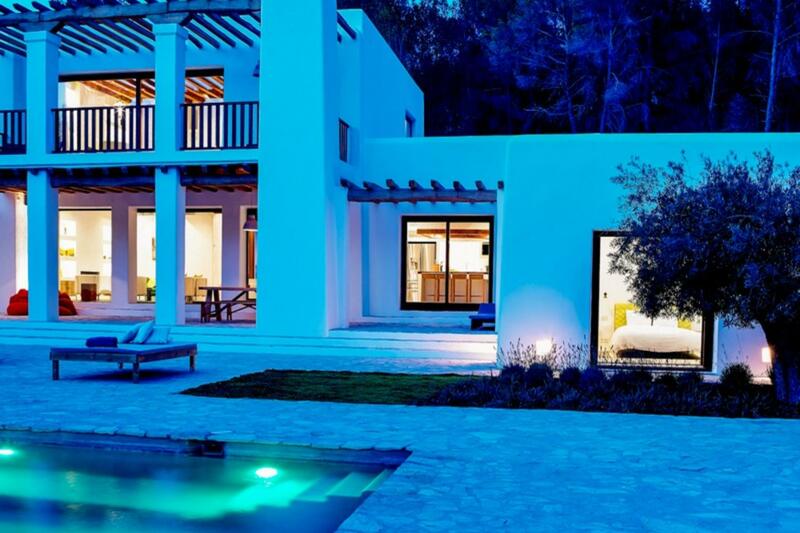 It is perfectly located in a tranquil location not far away from San Rafael. 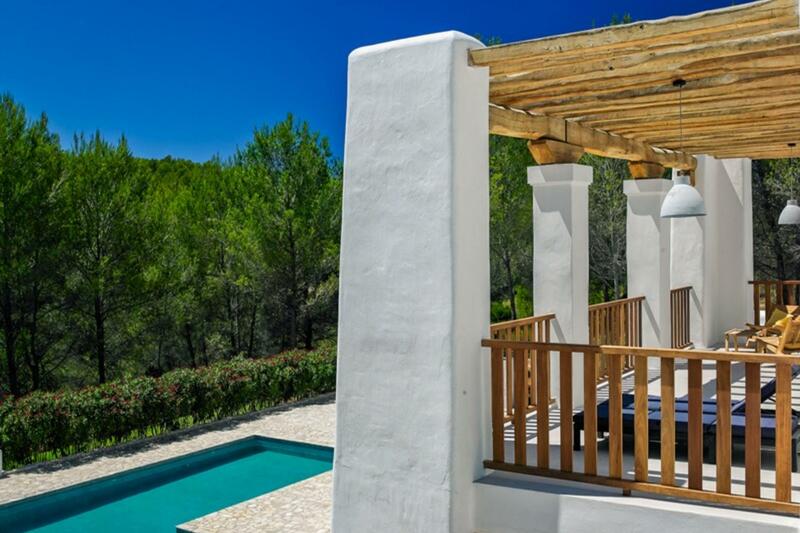 Sitting in 33,000 metres of the central Ibizan countryside, it has seven acres of woodland, terraced orchards and a torrent running through the land. 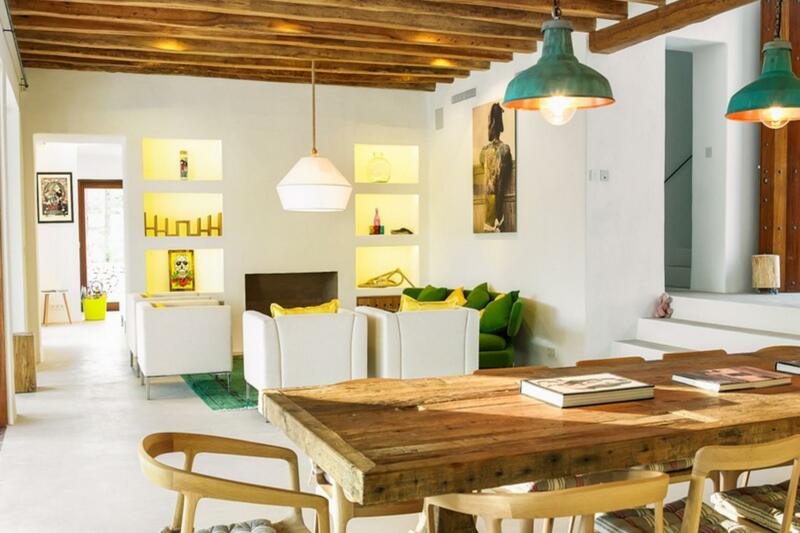 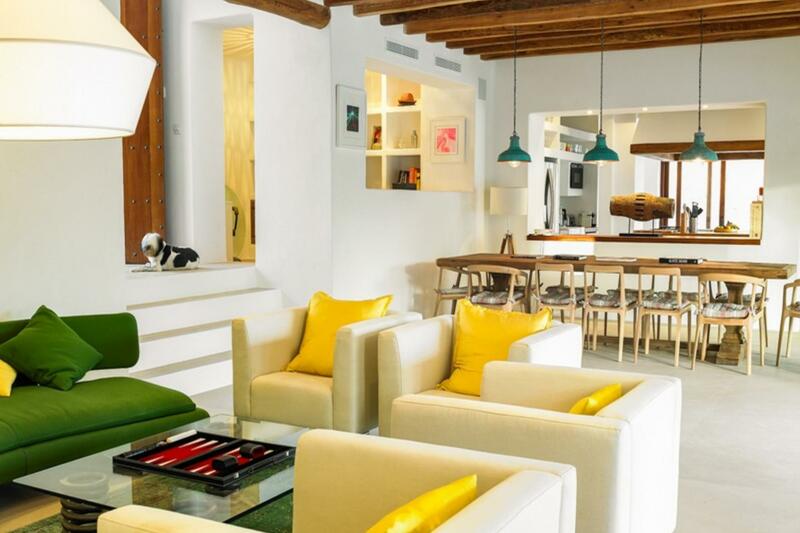 With it's central location it allows easy access to Ibiza Town or the beaches of the north and east. 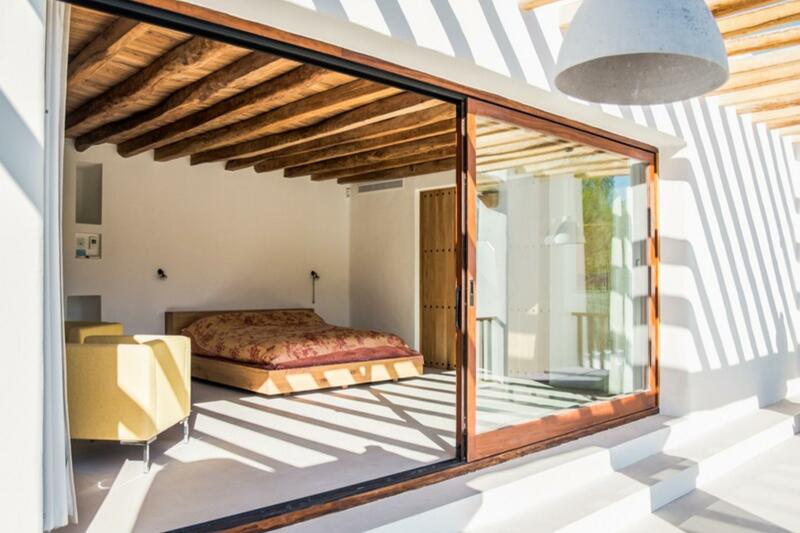 The house exudes understated luxury and whilst maintaining many green, eco-conscious feature's it also provides the latest technology, security and efficiency that any modern holiday maker could want. 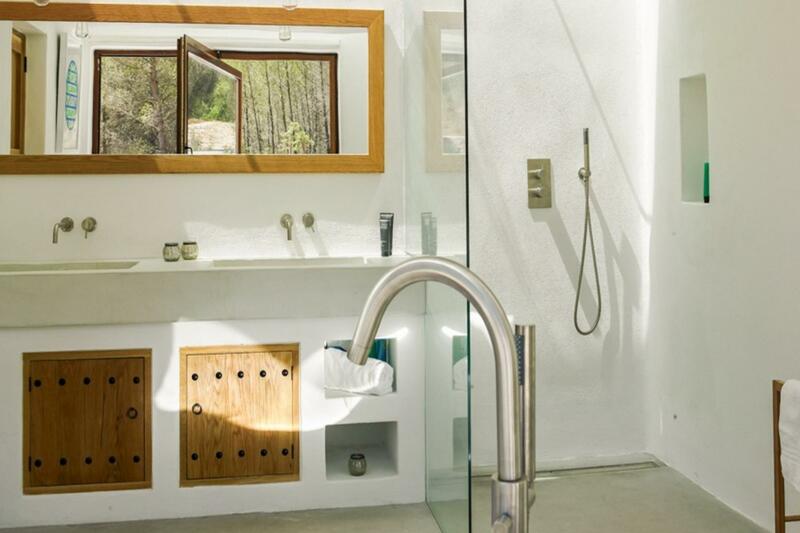 Water is provided from an underground well and then purified through reverse osmosis tanks to provide clean drinkable water throughout the house. 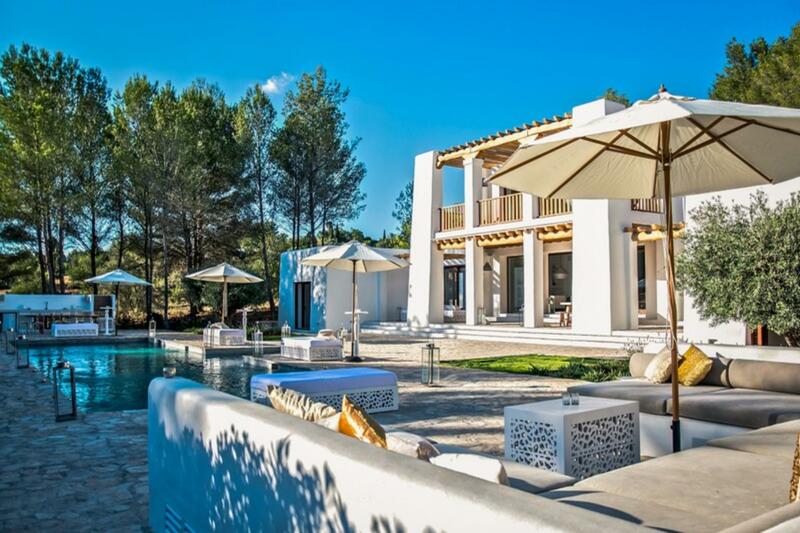 Using the latest technology the house has been wired throughout with Cat 5 cabling and been fitted with an intelligent AV system allowing control from any phone or tablet to play music, movies or videos in different areas of the house terrace or pool. 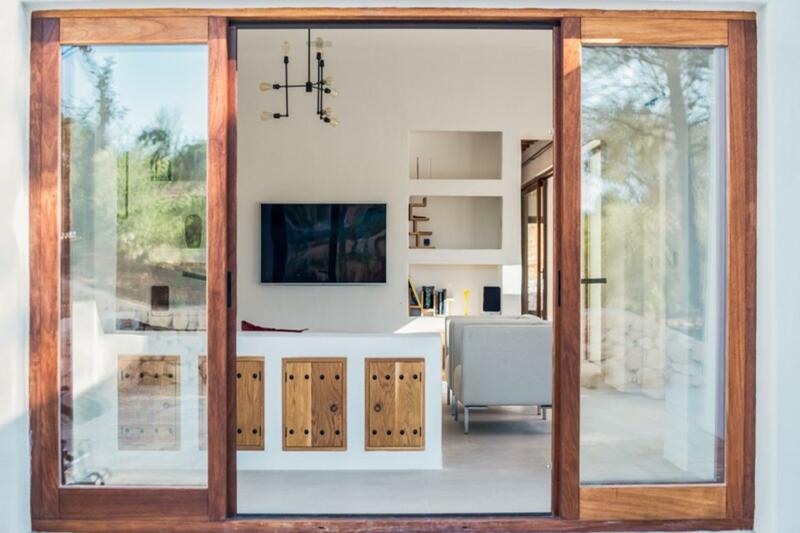 The system incorporates satellite TV, internet, sonos, Apple TV, and a central server holding any further music or video files you may want to access, all manageable from guests phones or tablets. 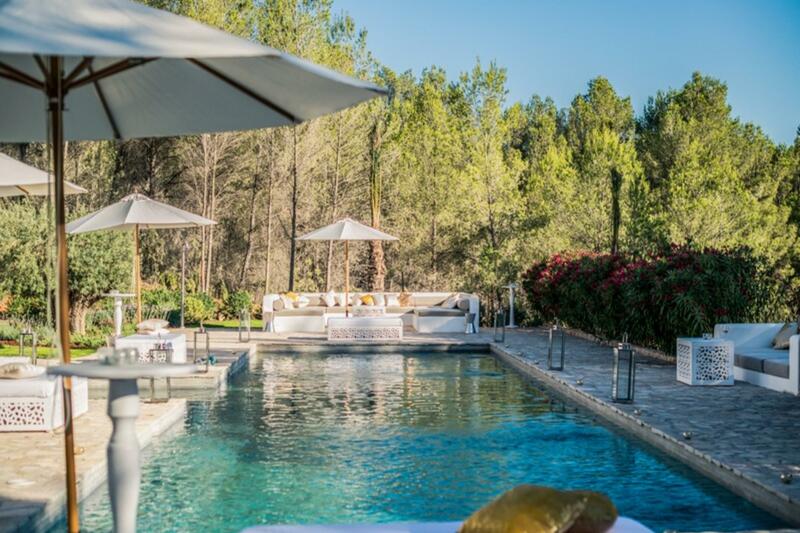 The garden features a stunning 22m by 5m pool, perfect for long daily swims or lounging with the family. 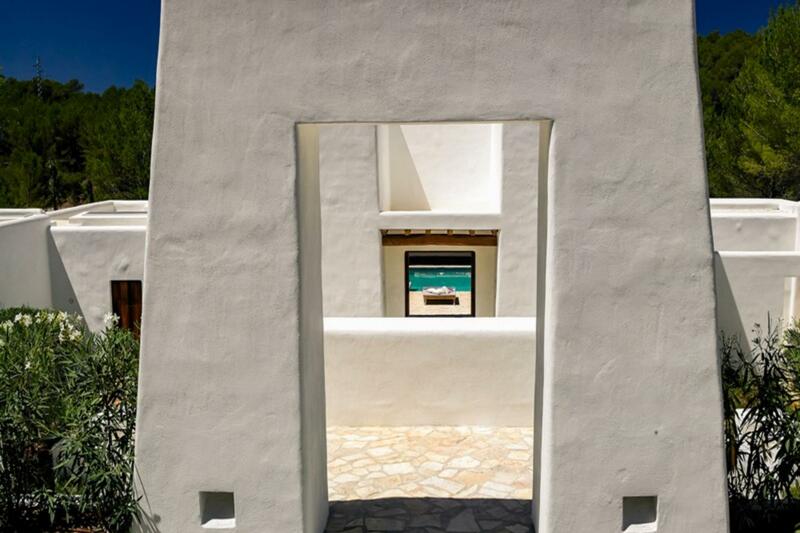 The BBQ area has an outside dining area and kitchen and leads on to a wide open terraced area of lawn and shade. 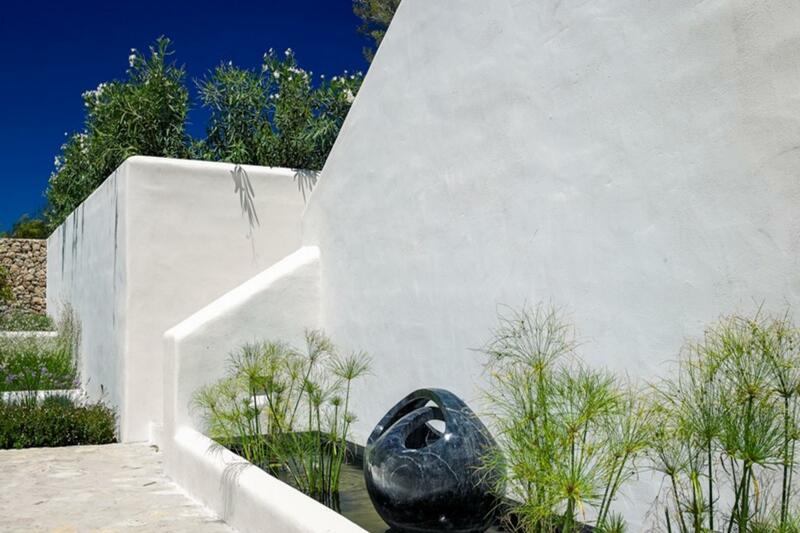 These terraces graduate down the hill to a fruit orchard next to the torrente providing oranges, lemons and pomegranate throughout the year. 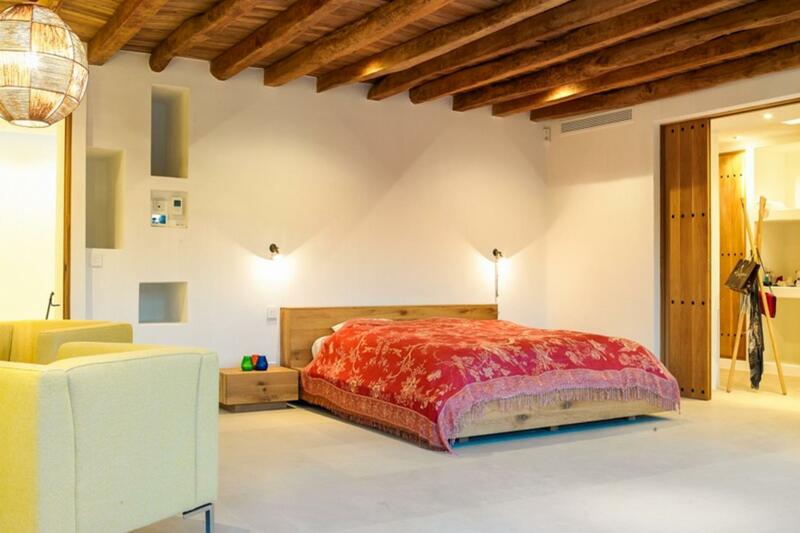 This property boasts five stunning double bedrooms all furnished to a very high standard. 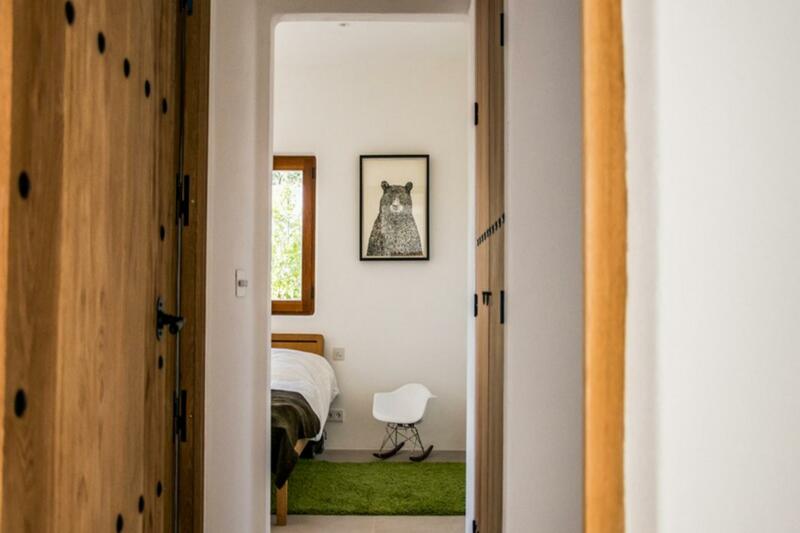 Each bedroom has an en-suite bathroom, spacious wardrobes and are all fully air conditioned.